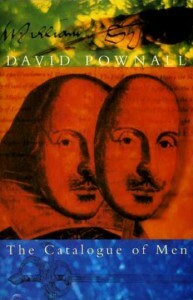 In The Catalogue of Men novelist and playwright David Pownall turns the Elizabethan world of Shakespeare and his contemporaries upside down, putting a darkly hilarious spin on some of the most famous moments and people in history. ‘William Shakespeare, renowned playwright, confidante to Queen Elizabeth, corrupter of 14 year old virgins, dealer in the occult. Which of these deceptions best fits the Bard?